Dr. William Hillis represents fully the majesty of scholarship, the servanthood of great teaching, and the commitment to Christ’s directives that characterize Baylor University’s highest goals as reaffirmed in the University’s Pro Futuris strategic plan. He has made a profound difference in the surrounding prehealth studies at Baylor, and his efforts have empowered countless students interested in this field to realize their full potential. Dr. Hillis’s mentorship has produced generations of conscientious young scholars -- scholars who have gone forth seeking to improve the world through intentional action in research and global service. As a consequence, Baylor has become a haven for students who desire extraordinary mentorship as they prepare for careers in the health professions and biomedical sciences. Dr. Hillis announced his retirement in the spring of 2012, after more than 30 years spent at Baylor as a teacher and administrator. At that time, officials from the College of Arts & Sciences approached him about their desire to develop a scholars program in his honor. Such a program would support and enrich undergraduates in the field that most fully represents Dr. Hillis’s academic and professional passion -- biomedical research. Why create the Hillis Scholars program? While Baylor University’s prehealth students take advantage of a superior academic program that prepares them for distinguished careers in the health sciences, intensive research experiences are not readily available to most Baylor prehealth students. We need to be able to provide these experiences to our students because they have become a vital component of the medical and educational training and professional expectations of America’s future physicians and biomedical researchers. Through specialized research experiences, high-achieving students who plan either to become medical practitioners or enter other medical professions can distinguish themselves and become highly competitive for positions in top graduate programs and medical schools. Research experience will also make Baylor students even more competitive for prestigious national and international academic awards. Dr. Hillis made certain that every student he mentored was able to maximize this aspect of their prehealth education. A recent case in point is the undergraduate experience of Taylor Kohn, a May 2013 Baylor prehealth graduate. 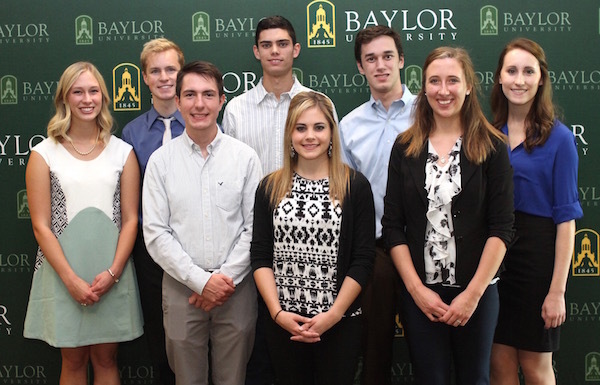 During his time at Baylor, Taylor was mentored by Dr. Hillis, and was chosen as both a 2012 Goldwater Scholar and a 2013 Fulbright Scholar. His Fulbright research degree was taken at the University of Manchester, England, and Taylor has now begun his medical studies at Baylor College of Medicine. What does the Hillis Scholars Program include? *Undergraduate students will be selected to receive scholarship support for as long as they are participating in the program -- with a maximum participation period of four years. *Student interest in biomedical research will be cultivated through hands-on research opportunities and mentoring by faculty, who will help guide students into excellent internships and summer research programs. *Applications will be encouraged from and preference considered for those Baylor applicants who have financial need, or who are first-generation college students. *Students will be integrated into a scholarly community and have opportunities to enjoy enriched mentorship from Baylor faculty, as well as interaction with guest speakers and fellow Hillis Scholars. The goal will be for students to learn clinical and bench research strategies, library systems and other research techniques that will support clinical and biomedical research projects. *Hillis Scholars will receive student access to medical electronic databases, searchable archives and the vast resources of the Internet. This will allow them to develop cutting-edge skills in formulating and addressing important biomedical research questions. A committee of faculty representatives from selected Baylor academic departments, as well as from the Office of Prehealth Studies and the College of Arts & Sciences Dean’s Office, will oversee the development and implementation of the program. The committee will work with a faculty coordinator to ensure that the goals and objectives of the program are satisfied and sustainable. To ensure there is an outstanding teacher/scholar intently working for the success of the program and students in it, the University will simultaneously seek funding support for a faculty position named the William Hillis Endowed Chair for the Sciences. 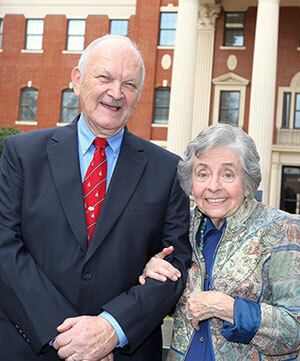 Dr. Hillis’ life as a scholar and humanitarian is emblematic of the values we hope to be embodied in this professorship. In addition to closely mentoring the Hillis Scholars, the Hillis chairholder will champion undergraduate research across the sciences and will direct the Office of Undergraduate Research therein, so that more opportunities and curriculum at the freshman and sophomore level will be generated, and more upper-division students will have an advocate and expert to help them connect to a wide array of research opportunities on campus and beyond. Therefore, this endowed position will ensure that the appropriate curriculum and mentoring is available to support the research and scholastic development of the students within the Hillis Scholars program. The Hillis Chair will also have wide influence beyond the Hillis Scholars program that will impact undergraduate research in the sciences at Baylor.